Judging from some media reports across Europe – and some positive market reactions, the eurozone crisis has just been solved. Italy and Spain scored a massive victory over Germany. Angela Merkel has caved in. Berlin has blinked. Recapitalisation of Spanish banks still faces hurdles: In future, the eurozone’s permanent bailout fund, the ESM, will be able to directly recapitalise banks in the eurozone, without first passing the cash through national governments. This could help Spain, as the loans won’t count towards Spanish government debt. But no more money is on the table, and the changes will only happen when the ECB has shouldered the role as supervisor for banks in the eurozone and ESM rules are reworked. Judging on past record, this can take time. Merkel has also indicated that the changes to the ESM will have to be approved by the Bundestag, which won’t be comfortable given the already strong reaction from backbench MPs. 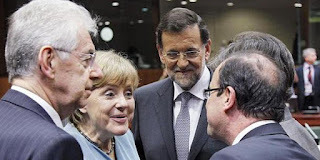 The bailout funds are still not big enough to stand behind Spain and Italy: The two bailout funds – the EFSF and ESM – could be allowed to buy government bonds with only existing EU targets in place, ie. no Greece-style monitoring programme. To consider this a game-changing move is an illusion. First, it is merely activating a previous EU decision – so Germany has agreed to no new instrument. Second, unlike the ECB, the EFSF and ESM don’t actually have the funds to backstop Italy and Spain – their bond buying is likely to be tested by the markets and could prove counterproductive. Perversely, if conditionality is indeed relaxed it would provide a pretty strong incentives for other countries – such as Italy – to tap the bailout fund. Hardly desirable. EU loans will remain senior: The conclusions suggest that any loans made by the EFSF and then transferred to the ESM (i.e. 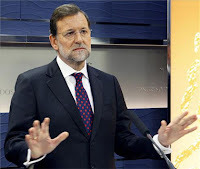 the Spanish bailout) will not be “senior”, ie taxpayers and financial institutions will take losses simultaneously if a debtor country fails to pay back the cash. In reality though, as the restructuring in Greece showed, official loans have always been treated as de facto senior. This is not necessarily a bad thing since it protects taxpayers, but it simply adds to the confusion and often only delays the pain. Ireland will get easier terms on its bailout: This is significant for Ireland, and an effective admission that the EU might have been wrong to force the country to bail out its banks and carry the burden on its sovereign debt alone. How much can be done this far down the line is unclear, but the positive sentiment could help the Irish recovery. The ECB as bank supervisor has merits – but comes with pitfalls: The aim seems now to have the ECB taking over the responsibility as chief bank supervisor in the eurozone by the end of the year, or at least an agreement to that effect. As I’ve noted before, the proposal comes with merits, but for better or worse, could be very significant for the UK if taking to its logical conclusion (resolution fund, deposit guarantee scheme, super-harmonised regulation), with the risk of fragmentation of the single market (as UK itself cannot take part). But this will take a lot of fiddling to sort out. What’s clear is that Germany has not moved on debt pooling, including eurobonds. The German government firmly denied suggestions this morning that anything had been agreed on this front. But the summit deal has caused a lot of bad blood within Germany. Apparently, Italy and Spain threatened to veto the €120bn growth package proposed by Hollande if Merkel didn’t give way (incidentally, given that these two countries were meant to be the chief beneficiaries of the ‘growth’ package, its a sign of how seriously – or not – people take this proposal). The episode has left Germany seriously frustrated and with a feeling of an ever increasing weight on its shoulders. Paradoxically, this may have the effect of hardening German resistance to debt pooling in the eurozone. Yet again, the focus shifts to German domestic politics. A bit rude, but just to show how high tensions in the eurozone run - add football to the mix and feelings boil over. This is the front page of today's edition of Italian daily Libero (centre-right, politically very close to Silvio Berlusconi). For those not familiar with Italian language, 'VaffanMerkel' is a fusion of the name of the German Chancellor and the Italian equivalent of f*** off. Which one was the more important Italian victory last night...? 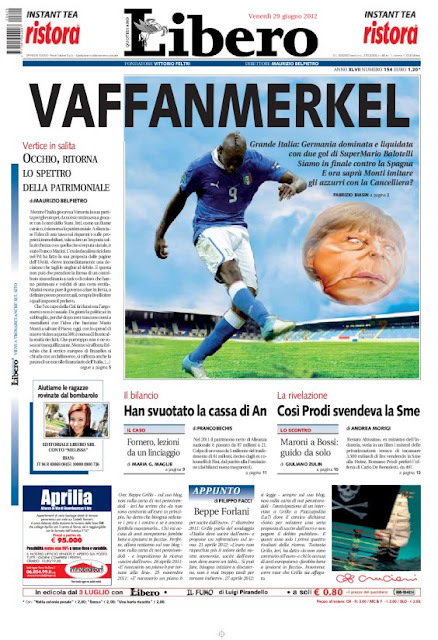 Among (understandably) triumphalist reports that Germany had to surrender to Italy twice yesterday - in the Euro 2012 semi-final and at the EU summit - the websites of several Italian dailies are this morning also offering a quite funny video showing what journalists - apparently not only from Italy - were really focusing on while European Commission President José Manuel Barroso and European Council President Herman Van Rompuy were holding their joint press conference in Brussels. €4.5bn investment in transport, energy and broadband infrastructure under the pilot phase of so-called 'EU project bonds'. However, as we have already discussed here, here and here, none of these investments represents a significant boost in solving the crisis. 2) The updated conclusions take account of Herman Van Rompuy's proposals for a banking union (in case you missed our reaction to the proposals, click here). 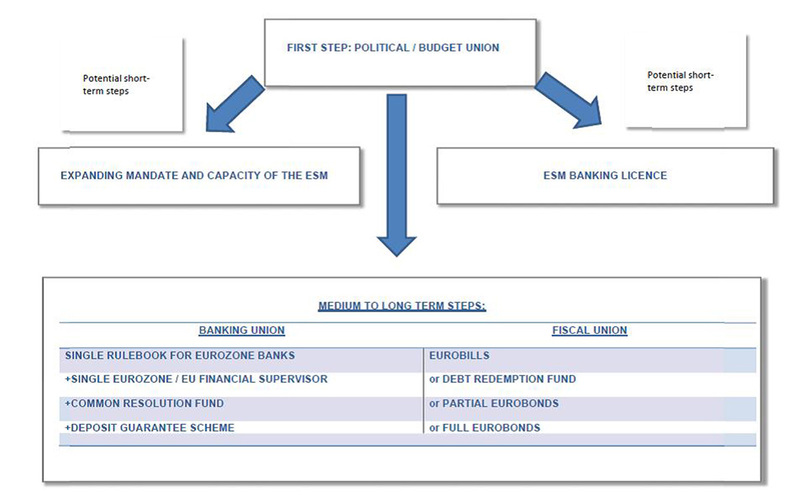 The conclusions state that any upcoming legislation designed to set up a banking union "should allow for specific differentiations between euro and non-euro area member states in areas that are preponderantly linked to the functioning of the monetary union and the stability of the euro area rather than to the single market." According to the new draft, "Existing legislative proposals on bank resolution and deposit guarantees should be adopted before the end of the year. Building on these, the Commission will submit before the end of 2012 further legislative proposals on a single European banking supervision system covering all banks, a European deposit guarantee scheme and a European bank resolution scheme." This is in line with the European Commission's objective of having the banking union up and running from 2013, which, as we noted before (see here), looks overly-optimistic. No mention is made of short-term measures to keep borrowing costs down - which France, Italy and Spain are particularly keen on. Should these be turned into the final conclusions of the summit, markets will likely be disappointed and the ball will once again be back in the ECB's court - which, by the way, seems to already be laying the ground for a new interest rate cut, although we doubt that will suffice either. "We are willing to go as far as we need to in order to get a sustainable agreement in Europe,"
His comments indicate that Germany is more flexible than many observers in Europe think after Chancellor Angela Merkel told German lawmakers early this week that there would not be full mutualisation of European debt in her lifetime. German lawmakers who were present have said that Ms. Merkel's comment was made in jest and that media have exaggerated its significance. Mr. Schäuble's comments seem to support this view. "We have to be sure that a common fiscal policy would be irreversible and well-coordinated. There will be no jointly guaranteed bonds without a common fiscal policy." "We cannot separate liability (for public debt) from the competence to decide on fiscal policy. This would be to ignore the most basic lessons of the crisis. As soon as we have a joint EU fiscal policy, we can consider joint liability—the sequencing is key." That all sounds very par for the course in terms of the German government’s approach to debt pooling. The important part here is the sequencing. Germany has always said it will support further integration and even potentially some form of debt pooling, but only if it first gets strict budget rules and clearly enforced fiscal constraints to ensure any risk sharing is not taken advantage of. Note: that's 'see you in court' enforced - not the current half-baked fiscal rules. Clearly, the kind of institutionalised budget discipline that the Germans have in mind is hugely difficult to achieve. Remember, Van Rompuy's proposal for fiscal and banking union was cut it in half before publications - at the behest of the French - precisely because it included too strong language on budget discipline and loss of sovereignty over spending decisions. EU leaders have consistently failed to institute binding budget rules - think the original Stability & Growth pact, the watered down fiscal treaty, missed Spanish targets (with Madrid failing to control spending even in its own regions) etc. etc. Therefore, as we pointed out in a recent briefing, we think that to actually get by the first step of Germany's vision of a more integrated Europe will be hugely challenging. Furthermore, as we reported this morning, this sequencing is also one of the dividing points between the German and French governments. France wishes to see risk sharing and debt pooling as soon as possible with political union later – i.e. debt mutualisation now (either directly or through the ECB) with greater conditions and oversight later on. So although they do sound as if they agree on the ends – more Europe and shared commitments – France and Germany very much differ on how to get there and in what order. "We need more Europe…We do not only need a currency union, we also need a so-called fiscal union - that is, more joint budget policy." Additionally, as today’s leader in Handelsblatt shows, aptly supported by the poll in today’s FT, Germany is willing to support more Europe but not at any cost and especially not without the right conditions and controls. In other words, this game of chicken (as it seems to have been termed), still has a long way to run. The capacity will be tested: this role was previously filled by the ECB. Markets know that the ECB can provide an unlimited backstop and will rarely test its resolve in keeping yields down. However the EFSF only has around €250bn left, while the ESM has a lending cap of €500bn (as we have shown though this will also not be fully operational for some time). In any case markets are likely to test the resolve of these funds, meaning they may spend more than is needed and may be less effective than the ECB was. Will deplete the funds of the EFSF/ESM: further to the point above, the money in the bailout funds will be severely depleted reducing the capacity for them to fully backstop countries which may need full bailouts. Particularly a worry if Portugal needs a second bailout, Greece a third and Spain possibly a full one on top of its bank rescue package. Subordination: if ESM purchases bonds other debt of the recipient countries will become junior. This increases market jitters. Would be less of a concern if these purchases solved any of the issues but they only simply delay them at best. Secondary market purchases: if the buying is on the secondary market, the benefit is limited in terms of countries actually being able to issue debt. Still rely on domestic markets and the sovereign-banking-loop in problem countries may become more entrenched. Primary market purchases: if done in primary market, then this will be a direct transfer between countries and could lay the groundwork for debt pooling, something which could cause political outcries across northern Europe. Risk transfer: holders of peripheral sovereign debt will likely see this as an opportunity to sell off their holdings at a higher than expected price, shifting risk to the eurozone level. De facto Eurobonds: the funds will issue bonds to raise money to buy debt off struggling countries. Building on the two points above, this means that investors will sell national debt and buy European backed debt, again essentially creating a de facto European bond and debt union. Conditions: must come with clear conditions otherwise could be self-defeating (removes incentive to reform). Furthermore, if, as is currently the case, countries must enter an adjustment programme to allow the EFSF/ESM to buy its bonds, there could be significant stigma attached (again reducing the benefit). It could also mean other countries picking up the slack if a government does not properly implement its own fiscal policy (however, without a clear say on the spending programmes). All in all then, a very mixed bag. At best this plan could provide some temporary relief to high yields but the side effects could be large and frankly these funds just aren’t big enough to fulfil this role (and their other roles) on a consistent basis. Besides, even if some time is bought they are still yet to outline to what end it would be used – better then to agree on this before starting to run down the one of the few backstops still in place to the eurozone crisis. As so often in the crisis, German tabloid Bild has captured a hugely complex debate - on the possible pooling of present and future liabilities among eurozone members - with a snappy illustration, depicting Merkel's 'rock solid' resistance to the idea after she said that "there will be no shared total debt liability for as long as I live". However, for its part Bild does also cheekily notes other 'famous last words', such as DDR leader Erich Honecker's assertion that the Berlin Wall would stand for 100 years or former Libyan leader Muammar Gaddafi's claim that his people loved him. But still, a good illustration of how far away Germany still is from nodding through grand schemes for debt pooling. We've been making a concerted effort here on the OE blog to bring you many of the more memorable quotes from the eurozone crisis, and we've had at least one more following a debate in the German Bundestag ahead of tomorrow's European Council summit. 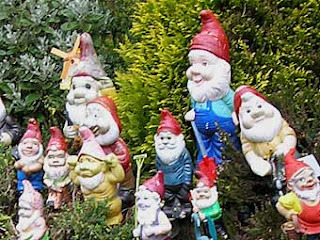 "The whole world is laughing its head off over these 27, soon to be 28, garden gnomes that are trying to play global politics but can't even get their own act together." What will proposals for a fiscal and banking union mean for the Eurozone and the UK? Ahead of this week’s EU summit, Open Europe has published a briefing note summarising the various ideas floated for a fiscal and banking union in the wake of the eurozone crisis, analysing their potential impact on the UK and the eurozone. Given the embryonic nature of many of the ideas, Open Europe concludes that none constitutes a realistic short-term, or even medium-term, solution to the crisis. In particular, Germany’s insistence on an effective veto over other member states’ spending over a certain level as a precondition for fiscal burden sharing is itself a huge political obstacle that may not be overcome anytime soon. The briefing also notes that it’s virtually impossible to separate a fiscal union from a banking union, as they are interdependent. Open Europe estimates that, taken together, an EU bank resolution fund and deposit guarantee scheme will need to be worth at least €600bn to be credible, with a direct credit line to either ECB or national treasuries. However, in a crisis situation, this amount could be far higher. Since 2008, for example, the EU has approved €4.5 trillion in national state aid to financial institutions in Europe – an EU banking resolution fund must be prepared to inject similar amounts. This fund could initially be built upon the existing ESM framework, although it would require a substantial rewriting of the ESM treaty and a large increase in its lending capacity. We’d note that a banking union in the eurozone does come with merits, but it is effectively a fiscal union via the backdoor given that eurozone governments will ultimately have to jointly stand behind all the banks in currency union. Therefore, there is a very real risk of banks in one country free-riding off the backs of taxpayers in another is therefore huge and the Germans are absolutely right in insisting on fiscal safeguards to avoid this happening. But this is also why banking union, even in an optimistic scenario, is years away. For better or worse, a banking union will inevitably have an impact on the UK’s place in Europe and add pressure on the Coalition to seek safeguards ensuring that a more integrated Eurozone is compatible with the UK’s economic and political interests. A key question for the UK is whether it really wants the ECB tasked with supervising a banking union in which cannot take part itself, and how to avoid barriers to financial trade in the Eurozone for UK firms if this happens. 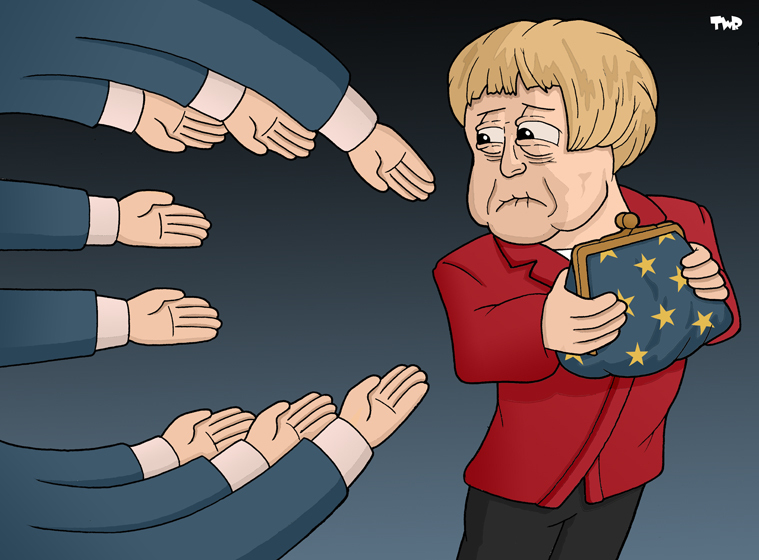 In recent weeks Chancellor Merkel has come under ever-increasing pressure to “do what is necessary” and take the plunge on debt pooling within the eurozone. This pressure has been applied from a wide of actors including the other big eurozone countries (France, Italy and Spain), the EU institutions (Commission President Barroso, Council President van Rompuy, Eurogroup chief Juncker and ECB head Draghi), the IMF and last but not least UK Prime Minister David Cameron and US President Barack Obama. However, Merkel - who in her time has crossed a fair few ‘red lines’ - has come out swinging ahead of Thursday’s summit of EU leaders, with Handelsblatt reporting that she is has lashed out at discussions ahead of the for focusing "far too much on all kinds of common liability [including] eurobonds, eurobills and a European common deposit guarantee fund with common liability". She described the proposals as "economically false and counterproductive" and asked Van Rompuy, to rework the report he published ahead of the summit to shift the focus from debt pooling to budget discipline. 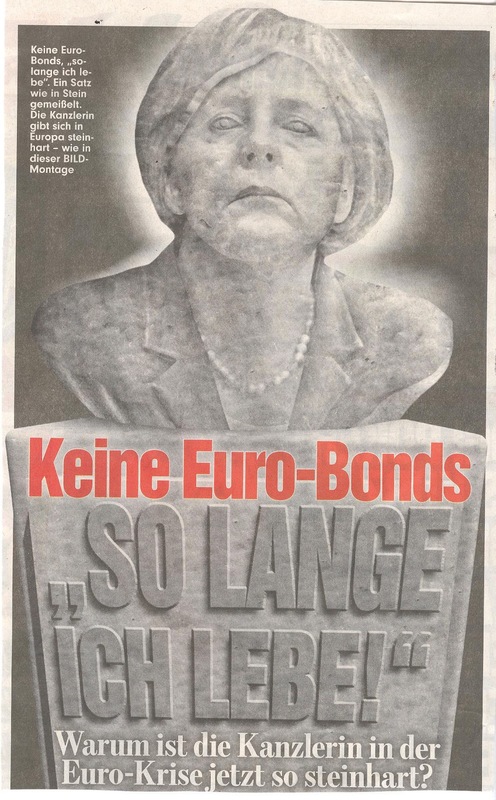 However, to split some pretty big hairs, the qualification of “shared total liability” hints that Merkel is not ruling out all forms of eurobonds during her lifetime, such as debt redemption fund as favoured by the SPD and Green opposition. Likewise she could offer other concessions, something hinted at by the news that Germany could be prepared to drop the provision that ESM loans are senior to other debt, something which has been perceived to have contributed to rising Spanish debt yields on the assumption private creditors would take the biggest hit. However, nothing will happen on any form of debt pooling before the German elections in the autumn 2013. "I don’t think the hypothesis of leaving the euro and using competitive devaluation is blasphemy." "The best solution is to convince Germany that the ECB must act as [the eurozone’s] lender of last resort…What could happen otherwise? Some people expect Germany to leave the euro. I have spoken to several German financial experts who think [Germany’s] euro exit is not such an odd idea, after all." "If Germany sticks to its negative positions, it can either happen that individual [eurozone] countries return to national currencies, or that Germany leaves the euro." Italy leaving the euro remains a distant prospect. 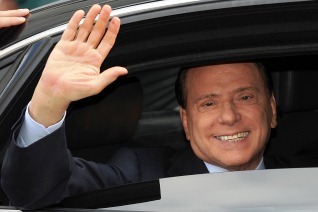 But as we noted before, Berlusconi's influence on his political creature - the People of Freedom party - remains huge, even if he is not going to run for Prime Minister in next year's general election. Should Il Cavaliere's new line of thinking become party policy, we may well have one of the mainstream political parties in Italy (most likely in the opposition, but still) saying that the country's support for the single currency is not unconditional. After the rise of anti-euro comedian Beppe Grillo, this would be another sign that support for the euro can no longer be taken for granted in Italy. "I understand Angela Merkel’s difficulties and her political difficulties because the Germans have run their economy very effectively over many years. But it’s their currency, they need their currency to work, so they need to have guarantees from other parts of the eurozone that they’re putting their house in order, but there has to be solidarity as well." Solidarity? As long as it doesn't involve Britain itself of course. Not. Smart. Politics. Are the rumours of a new(ish) eurozone backstop true? The press have got very excited over suggestions from European leaders at the G20 meeting in Los Cabos, Mexico, that they will activate the EFSF to buy eurozone government bonds from the secondary market in an attempt to reduce borrowing costs for Italy and Spain - a function which the fund has always had but has never been used (since the ECB has filled this role with its bond buying programme). Berlin has already moved to deny this, but there could be truth in it - not least because it's legally possible but also because we've seen over the past few weeks that the ECB has refused to buy bonds despite the persistent rise of Spanish borrowing costs. It has become increasingly clear that Spain cannot withstand these interest rates for long - something needs to be done. If true, this could prove a important change. Despite always being possible, bond buying from the EFSF has up until now only been theoretical. When it comes to the unenviable task of backstopping Spanish and Italian government debt, the ECB has now officially passed the buck to eurozone governments. Over the last two years, the ECB has effectively managed to manipulate government bond yields by buying a limited amount of government bonds – some tens of billions a month at its peak (although with mixed success). In August last year, for example, the mere willingness of the ECB to buy Italian government debt may have prevented a full-scale run on that country as political uncertainty ran wild. But there’s a key difference between the ECB and the EFSF – while the former has deep enough pockets to move markets, the EFSF’s lending capacity is inevitably limited, meaning that making it into a lender of last resort for a country the size of Spain (let alone Italy) could prove risky. The ECB could stand behind Spain and Italy with, at least in theory, the ability to massively expand its balance sheet and thereby quarantine these problem countries. But the EFSF only has €250bn left to lend – to top up its lending capacity, it will need to pass 17 hostile national parliaments, which ain’t gonna happen anytime soon. This is to say that, if the buck has indeed been passed from ECB to the EFSF, then the Eurozone’s firewall just became a lot weaker - many have rightly previously questioned its capacity to purchase bonds and fund lending programmes to struggling countries simultaneously. Furthermore, the EFSF treaty states that secondary market intervention can only take place at the request of the recipient country and will come with some conditions (although probably not a full reform programme). Clearly this will come with significant stigma (once you go down the path of any external aid it is hard to return, as Spain is now finding out), while it is hard to imagine a country signing up to extra conditions just to manage its secondary bond market (especially since the ECB was previously doing this without any clear conditionality). There are additional questions over what this means for the permanent eurozone bailout fund, the ESM, which is meant to be up and running this summer. Presumably, it will have to take over this bond buying role once it comes into force. The same problems apply here as do with the EFSF, but the ESM is also senior to other debt, meaning that as it buys up debt of a country other holders of this country's debt become subordinated - this can result in further market uncertainty making it counter productive. 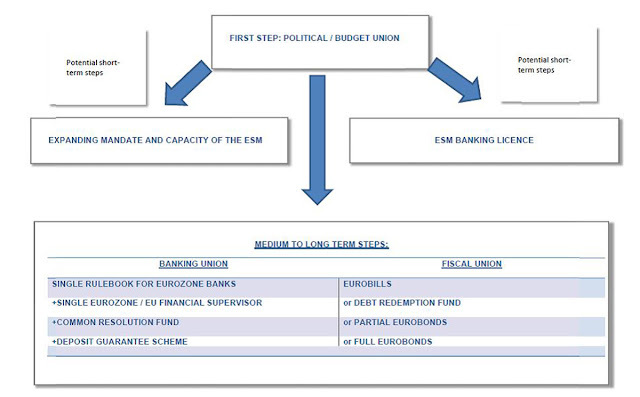 Ultimately, if the ESM is to serve as a lender of last resort in any way, it almost has to be equipped with a banking license in order to allow it to lend and borrow freely, without being hostage to national parliamentary politics or very limited in size. Giving the ESM a banking license is a hot potato in Germany, but will Berlin have any choice if the markets start to question the firepower of the fund? On the current path, presenting the EFSF/ ESM as lender of last resort – for Spain in particular – but without equipping it with the cash to actually allow it to fulfil this function, could set the stage for a showdown between markets and the funds - in that scenario we can only see one winner. Things in Greece could have been worse after the election, but that fact can’t be hailed as a ‘turning point’. Assuming that Greek political leaders form a coalition and push ahead with EU-mandated reforms, which is a very likely outcome given that Greece may only have enough cash in its coffers to soldier on for another month, any such government will inevitably include parties that completely disagree on how to resolve the crisis. The only glue would be the fear of economic catastrophe. This uneasy government would be ill-suited to withstand pressure from Syriza and the rest, who will spare no effort in blaming it for the inevitable economic pain. The threat of new elections, which would probably lead to Greece's exit from the Eurozone, will constantly hang over the country’s head like the famous sword of Damocles. A great deal of hope is being placed on the new government’s ability to renegotiate the terms of the EU-IMF bailout programme. At the G20 summit in Mexico, Angela Merkel went a long way to play down these expectations. This suggests that the upcoming revision will largely be a superficial exercise. Greece may obtain a slight reduction in the interest rates, an extension of the debt repayment deadlines, a few billion for investment, and perhaps even be given some slack on its deficit reduction targets. However, the thrust of the bailout agreement will stay the same — and many of the conditions will remain unachievable and poorly targeted at the substance of Greece’s problems, such as the dramatic loss of competitiveness since it joined the euro, and a number of systemic flaws in the country’s administration. So should Greece leave the Eurozone as fast as it can? The euro crisis has proved that Greece should never have joined the single currency in the first place, and the benefits of Greece trying to re-build its economy outside the Eurozone are well-documented. However, if Greece left the euro now, the risks involved would very likely outweigh these benefits in the short term. Our estimate is that, if Greece exited today, it would need external financial assistance worth up to €259 billion — or else face the serious threat of hyperinflation and a banking sector collapse. Given the blind alley down which Europe has led Greece, this is the unfortunate reality, failing to take these issues into consideration could lead to a terrible outcome for all, including the UK. Having said that, the key question about the future of Greece’s euro membership will not go away; and it will have to be answered, sooner or later. The impression is that, once Greece manages to balance its budget and put its ailing banking sector back in decent shape, dropping the euro will look a more sensible, even desirable, alternative — especially if the Greek budget is to be drafted in Brussels on a permanent basis. As the largest party, New Democracy (ND) will lead talks on forming a coalition government. The starting point will likely be negotiations over a ‘national unity government’ which tries to incorporate as many parties as possible. If ND fails, the mandate would normally pass onto the second and third largest parties, SYRIZA and PASOK respectively. However, SYRIZA has said it will reject the mandate, while PASOK called for it to be passed straight to Greek President Karolos Papoulias. ND still looks likely to lead the first talks, but if these fail Papoulias will take over. Given the risk of a eurozone collapse, most political leaders in Greece accept that not forming a government is not an option. Once a government is in place, negotiations with European partners will begin. Is a national unity government likely or possible? We don’t think so. SYRIZA has already ruled out governing in tandem with ND, and has consistently rejected the austerity measures attached to the Greek bailout programme. Throughout the election campaign, SYRIZA leader Alexis Tsipras has been incredibly critical of ND and the ‘old guard’ of Greek politics – which he blames for the corruption and economic problems Greece is now facing. But wait, hasn’t PASOK ruled out joining a coalition without SYRIZA? It is true that yesterday PASOK leader Evangelos Venizelos called for a minimum four-party coalition and suggested he would not join a coalition which did not involve SYRIZA. However, we believe this to be largely political posturing. PASOK has seen its vote share eroded by SYRIZA and is therefore keen to exploit its position of power as kingmaker to ensure it does not lose further support. The party is also wary of being stuck in a coalition with only ND where it would be overwhelmed. 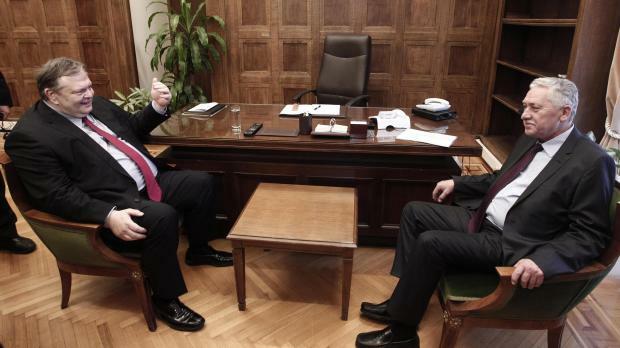 We believe PASOK would join a coalition as long as it involved other parties beyond just itself and ND. As an alternative, PASOK could pledge its votes in parliament to allow the new government to pass EU-mandated austerity measures. Ultimately, PASOK has supported Greek membership of the euro and the current bailout programme, while Venizelos is aware of how costly new elections could be meaning it is likely to compromise. Somewhat ironically, he has already argued that there is no time for “political games” when it comes to forming the new government. What could a new government look like and how strong would it be? We believe a likely coalition would be ND-PASOK-Democratic Left. This would have a fairly strong majority with 179 seats in parliament. However, it would face a strong, motivated and more unified opposition in SYRIZA. This coalition government, although broadly pro-euro and accepting of the bailout programme, would still be marred by disagreements over the level of ‘austerity’ and the correct way to promote economic growth (ultimately it is an ideologically mixed right-left coalition). Is a third election possible? Yes, although it seems the least likely option at the moment. Interestingly, there is a precedent in recent Greek history – the Greeks have previously had to vote three times in less than a year (June 1989, November 1989, and April 1990) before a stable government could be formed. All the political parties know that a third election would now be the worst possible outcome – not least because Greece would run out of cash before the new vote takes place, probably towards the end of the year, while eurozone leaders look unlikely to lend into a black hole (in governance terms). Therefore, a compromise is likely. However, if SYRIZA stays out, the new coalition would inevitably be a weak one (as noted above), meaning that new snap elections may well be called in six months’ time. What prospect is there of a renegotiation in the bailout agreement? One big question is whether eurozone leaders will push for SYRIZA to provide a supporting signature – we think this is unlikely given the party’s opposition – but ultimately the support of a broad coalition with 179 seats may be enough for eurozone leaders. Any adjustments are likely to be small focusing on lower interest rates, extended repayment periods and EIB funds for Greece. Some adjustment in the deficit cutting programme may be possible, although only to account for the delays to the plan due to the two Greek elections. Will this solve the eurozone’s and Greece’s problems? No. Even with adjustments to the bailout programme, it still looks virtually impossible for the country to meet the various austerity targets. Missed targets will continue to be a source of disagreements and controversy, particularly inside Germany, while the continued EU/ECB/IMF Troika presence on the ground in Greece means that any delays will come to light quickly. Therefore, Greece’s future in the eurozone remains uncertain. For the single currency as a whole, should a compromise be possible in Greece, the focus of attention will shift back to Spain – whose banks remain a major liability for the euro. So what chance is there for a third Greek bailout? Politically, providing a third bailout for Greece would be incredibly difficult for the likes of Germany, Finland and the Netherlands, which would all struggle to get parliamentary approval. From the Greek side, it is hard to imagine even a pro-euro coalition signing up to a new strict ‘Memorandum of Understanding’ detailing further ‘austerity’ for Greece. At best, extra cash might be put on the table if a move towards a fiscal or banking union is close, but this will not happen anytime soon. We expect that a more fundamental decision over Greece’s eurozone membership will need to be made before this money runs out, within the next six to nine months. Why doesn’t Greece just leave the euro now and move forward? There are clear economic benefits to Greece leaving the euro, but the risks involved in an imminent exit could well outweigh these benefits in the short term. We estimate that if Greece left the euro now, it could still need between €67bn and €259bn in external short-term support, potentially split between the IMF, the Eurozone and non-euro countries including the UK. These figures do not include longer-term support or contagion costs to the rest of the Eurozone. A Greek exit and the withdrawal of ECB support would almost certainly lead to the undercapitalised Greek banking sector collapsing. To avoid a massive bank run and huge losses to pensions, we estimate that banks and pensions funds between them would instantly need a €55bn injection of fresh capital, which would be difficult for Greece to afford without external support. The new Greek Central Bank would also need to create at least €128bn worth of the new currency (63% of Greek GDP) in liquidity to help keep Greek banks afloat. This could trigger high levels of inflation, though these might only be temporary. Despite a compromise being likely in the short term, as Greece approaches a balanced budget and a more stable banking sector, though still messy, an exit will look increasingly attractive – particularly if the only alternative for Athens is to permanently give up economic and political sovereignty. P.S. : You can find more details on this specific point in this briefing we published last week. How exposed are EU countries to Greece now? Open Europe estimates that the EU countries have a total exposure of €552bn to the Greek economy. This comes through various sources including: the two direct bailouts, central bank lending (ECB monetary policy, ECB Securities Markets Programme, Target 2 and Emergency Liquidity Assistance) and exposure of these countries banking sectors to Greece. This has increased by a massive 67% since June 2011, despite little progress being made on reforming the Greek economy or solving the wider problems in the eurozone. A eurozone banking union will fundamentally change the rules of the game for Britain in Europe: Is Cameron ready to pull another veto? Talk of a banking union for the eurozone has become fashionable. Many, including the British government, see the idea as a way to provide some sort of backstop for the eurozone, where shaky banks remain a huge threat not only to the single currency, but also to the British economy. Banking union, as a concept, has merits – it tries to deal with the ever elusive question: what happens when cross-border banks fail? But, viewed from London, a banking union is also political dynamite. It cuts to the heart of both a key national industry and Britain's future place in the EU as the eurozone integrates further. There are only embryonic proposals on the table at the moment, and a lot is unclear. A banking union could involve a wind-down mechanism, resolution fund and deposit guarantee scheme – all on a cross-border basis. It could also take various different institutional shapes, putting the Commission, the ECB or national capitals respectively at the centre (expect turf battles). All of these vital decisions will take a lot of negotiation and time to sort out and may involve EU treaty changes – while there’s huge resistance in some member states, not least Germany. It may not be politically possible to achieve. Regardless, the UK cannot take part in the banking union itself: politically, it would involve a massive transfer of powers to the EU, which no British government will go anywhere near. Economically it would be virtually impossible too, given the disproportional risk accounted for by the City of London, which neither side would be willing to accept. Instead, in a scenario reminiscent of David Cameron’s December veto, the question is whether London will simply nod through the changes (whether a Treaty change or not, the UK will have veto over at least some elements) or whether it will name a price for its approval. George Osborne and No 10 have said they will seek safeguards to ensure that “British interests are secured and the single market is protected… anything affecting the single market should be agreed by all 27.” But is Cameron really willing to veto the same union that he is calling for? Because if, according to UK wishes, a fully-fledged banking union indeed materialises, it’s very difficult to see how it would not cut right across the single market. The most obvious risk is over ‘location policy’ – whether in future a certain firm or financial activity must be supervised by eurozone authorities in order to do business there. This would essentially serve as a massive barrier to UK firms doing business in Europe – in an extreme case, the City of London would effectively become ‘offshore’ for the purposes of trade with euro countries. But more probably, for a banking union based on cross-border liabilities to really work, it would need to be backed by perfectly harmonised regulations, to avoid a bank in one country essentially free-riding off the back of guarantees by taxpayers in another country. This is precisely why the Germans are so sceptical – without a single set of rules the banking union would spill over to fiscal union but without the corresponding central controls. Not only because backstopping banks is a big part of state liabilities, but also because banks flush with new eurozone-wide guarantees could lend to their domestic sovereigns at incredibly low rates, essentially providing artificial subsidies to states and removing market pressure for reform (sound familiar?). That would give rise to moral hazard of ridiculous proportions. Instead, the eurozone will need a ‘single rulebook’ for banks, which may or may not be compatible with the current rules governing the single market in financial services. For example, to counter free-riding risks, individual countries could have no discretion whatsoever on capital requirements for banks. It would be a single target for all euro countries, with zero flexibility. This may not be a disaster for the UK – it could even be a benefit. But it could also go the other way, ending with an in-built eurozone majority voting to apply the single eurozone capital target for the EU as a whole, which could be substantially different to the needs of the UK. A eurozone banking union would also alter the basic relationship between the home and host countries of cross-border banks (i.e. subsidiaries), shifting the previous fragmentation from national borders, to the euro/non-euro divide. Again, this may or may not be a problem for the UK, but the point is that inherent in the creation of a full-scale banking union is the fragmentation of the EU single market – which means that, if you’re sat in London, you should tread extremely carefully around the issue. A compromise may be possible (though it won’t be pretty) which would allow for the gap between the eurozone and the single market to remain narrow (we’ve suggested some potential compromises here). But the political dilemma for the UK government is clear: is it prepared to use another veto to block a banking union absent UK-specific safeguards – risking being perceived as hampering efforts to save the euro? Or will it simply nod through potentially game-changing proposals, risking the wrath of its backbenchers? The eurozone crisis can't be accused of one thing - providing good quotes from politicians or commentators, most notably some of the comments from Slovakian MPs when that country was debating whether to approve an extension of the EFSF. This morning as part of our daily look through the European press we found another couple of examples that we thought were worth sharing with a wider audience. We've got a piece in City AM today, looking at the potential spillover from Spain to Italy, particularly in light of the increasingly worrying political situation there. By all accounts it seems that technocratic Italian Prime Minister Mario Monti has slightly lost touch with domestic issues in search of a grand eurozone solution. SPAIN’S €100bn bailout plan has failed to reassure markets. The permanent fear of contagion means nervous glances are once again being directed at Italy. Austria’s Finance Minister Maria Fekter was the first political leader to claim that Italy may have to tap into the Eurozone’s rescue funds – a statement which did not go down well in Rome. Since entering office last November, Italy’s Prime Minister Mario Monti, and his cabinet of technocrats, have done more to reform the country’s stagnating economy than almost any previous government over the last few decades. However, Monti has recently become more concerned with convincing Germany and others to go ahead with grand plans for a political union in the Eurozone – Eurobonds and a banking union – than completing crucial domestic reforms. Worryingly, the pace of reform has slowed down, even though there are no shortage of items on the Italian government’s to-do list – including plans to increase labour market flexibility in the public sector, a comprehensive anti-corruption bill and, ideally, a new electoral law to be adopted ahead of the next general elections in 2013. There’s a lesson here: the loss of momentum in Italy’s reform programme perfectly summarises why, beyond the pro-integration rhetoric, Germany remains so wary of a political union in which Berlin joins liabilities with Athens, Madrid or Rome – from Eurobonds to a single bank resolution fund. From the government to the media, Germans are simply too concerned that Club Med countries would see risk-pooling in the Eurozone as an excuse to delay the necessary reforms and give in to the temptation to fund growth via more debt – which is what put them in the current mess. But there’s another reason why Monti should focus more of his attention on the home front. Recent polls show that support for the Italian Prime Minister is at its lowest since he took office, and the political parties that back him in parliament are also struggling. Voters have had their heads turned by a rather unlikely alternative – the so-called Five Star movement, led by the comedian Beppe Grillo. A political maverick, Grillo has mainly been campaigning for a clean-up of Italian politics. But he has also suggested that Italy should consider dropping the euro while still remaining a member of the EU, and write off at least part of its gigantic public debt. Despite having very little cash to fund its campaign, the Five Star movement did incredibly well in the latest mayoral elections, and is polling at 20 per cent – leading Silvio Berlusconi’s People of Freedom party by several percentage points. 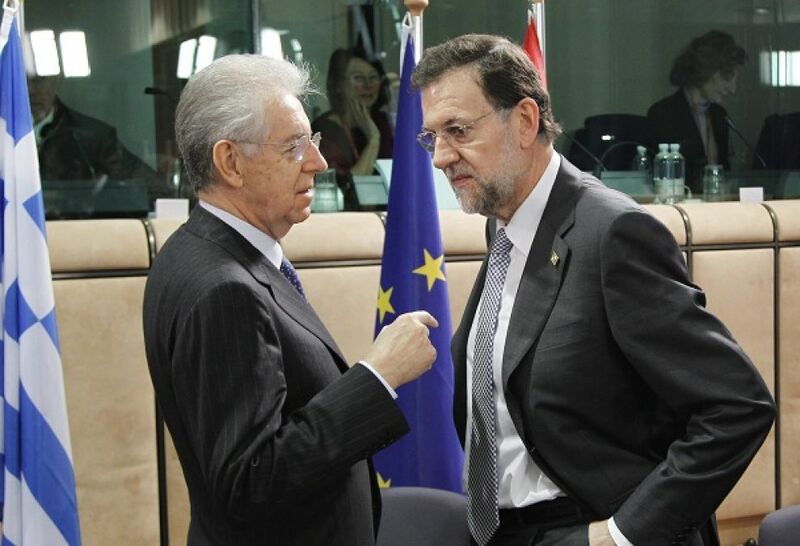 Instead of planning new grand European projects, Monti should re-focus his attention on the domestic reform programme. This is not the time to have your head in the EU clouds. As the rise of Beppe the comedian illustrates, public support for the euro in Italy can no longer be taken for granted. 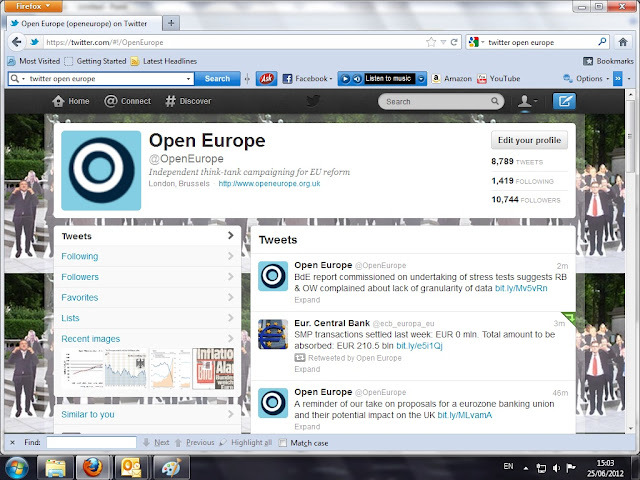 An EU banking union within a year? Don't think so. In an interview in today's FT, Commission President Jose Manuel Barroso is raising the stakes in the talks on a 'banking union' in the EU and/or eurozone, involving an EU-wide deposit guarantee scheme, a rescue fund paid for by financial institutions and giving an EU-wide supervisors the power to order losses on banks, without the approval of national authorities. The Commission, keen to get back in the game following the shift in focus to national capitals in the wake of the crisis, says it'll present a proposal for a banking union at the EU summit at the end of June. According to the FT, Barroso said all of this could be achieved within the next year and didn't necessarily require an EU Treaty change. He said, "there is now a much clearer awareness" in national capitals, including Berlin and London, that Europe needed to press ahead with more integration "especially in the euro area." Good marks for optimism. In reality, though, there's no way a banking union will be up and running within a year. Even if he was hinting at an agreement in 2013, that too is optimistic - at least on the chunkier stuff. A number of member states still have huge reservations. The UK won't be part of a banking union regardless, and anything requiring unanimity and/or Treaty change may be used by Britain to re-heat demands for safeguards over UK financial services, which Osborne has already floated. Other non-euro members also have reservations, with the Swedes opposing a banking union based on cross-border liabilities on a point of principle and the fear of moral hazard (unlike the Treasury, which seems happy for the eurozone to do this as long as the UK is not on the hook). Merkel will face resistance from various corners: the Bundesbank, the legal class (hello Treaty change), its financial supervisors BAFIN, the media and a host of backbench MPs. This will have to go through the German Parliament, which per definition takes time. And as for the French, we're not entirely sure that Hollande quite has his head around what a banking union would involve - and that France's position is somewhat fluid at the moment. And remember, a proposal by the Commission for limited cross-border bank deposit guarantees has been stuck in the Brussels machinery for two years, at the hands of resistance in member states. This will be a drawn-out one.